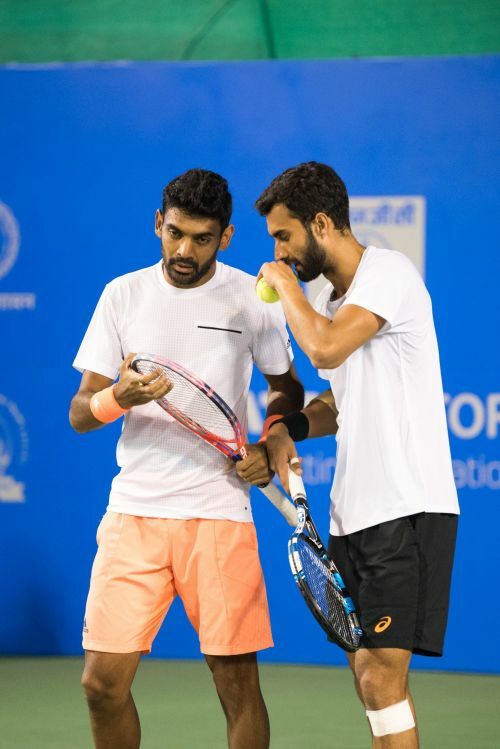 Yuki Bhambri and Divij Sharan entered the centre court of the Balewadi Stadium on Friday (January 5) as India's last hope in the competition. 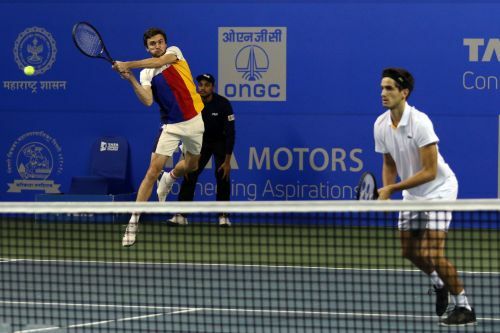 They were contesting in the semifinal of the tournament against the in-form pair of Pierre-Hugues Herbert and Gilles Simon. They lost the game 6-4, 7-6. The hosts got off to a nightmarish start. Sharan was broken in his service game as both the Frenchmen held their serves with ease. The Indian duo trailed 0-3 in the first set, before Bhambri held his serve to get this team on the scoreboard. It seemed like the pressure of the big stage got to Sharan in the initial games of the match, but he came to his own slowly and surely. The Indians broke back in the seventh game of the match and put the breaks on their opponents, who were running away with the set. After the ever-reliable Bhambri held his serve once again, the set was tied at 4-4. The cheers from the crowd grew in number as well as in decibel. Shouts of "Come on India!" filled the cold air. Sharan received bouts of encouragement, support and understanding from his experienced partner consistently through the match. However, the youngster seemed to have a lapse in concentration when he failed to get his first serve in the box in the last game of the set. The Frenchmen scalped a triple break point therein, and converted on their second attempt, to take the set 6-4. It seemed as if the hosts lacked coordination in the first set. It also looked like the pressure on Bhambri's shoulders was unusually high. Herbert and Simon, on the other hand, looked completely in control of their gameplan and dictated the rallies with ease. The Indians got off to a positive start in the second set and even earned a break point in the third game of the same. However, they were unable to convert it, courtesy some gritty tennis from their opponents. They squandered three more break points over the next four games. They were trying hard, but were not able to break down the French, quite literally. However, they retained their serve as well, and the two teams split ten games between them to tie the set 5-5. Bhambri and Sharan received a triple break point in the next game of the set, but quite unbelievably, wasted all three opportunities. This was evocative of Bhambri's Round 2 match, where he frittered away 6 BPs in the final set, only to lose it at the end of it all. Sharan's serve was put under tremendous pressure when the last game of the set was taken to deuce, but the youngster stepped up and managed to force a tiebreak on the Frenchmen. However, the Indians capitulated to the pressure in the tie-break. Double faults, return errors and misses at the net cost the hosts dearly. They gave 4 match points, but the men from France needed just one of them to book their place in the final. As a result, Simon will now feature in the final of the singles as well as the doubles event. Quite an achievement for his first time in the tournament, isn't it?